Washington, NJ, USA: Pellet classifiers from process equipment manufacturer The Witte Co., Washington, New Jersey (www.witte.com, feature quick-disconnect discharges that invite the frequent, thorough interior cleaning of the discharge chute required to help prevent batch-to-batch cross-contamination. Incorporating a proprietary thumb screw design, the quick-disconnect discharge may be quickly and easily removed and reinstalled in seconds with no tools. Originally developed to speed cleaning in product changeover for contract processors, packagers and manufacturers, the quick-disconnect discharge supports the sanitary production of foods, beverages, pharmaceuticals, nutraceuticals and other products and aids in compliance with FDA, HACCP and CGMP requirements. 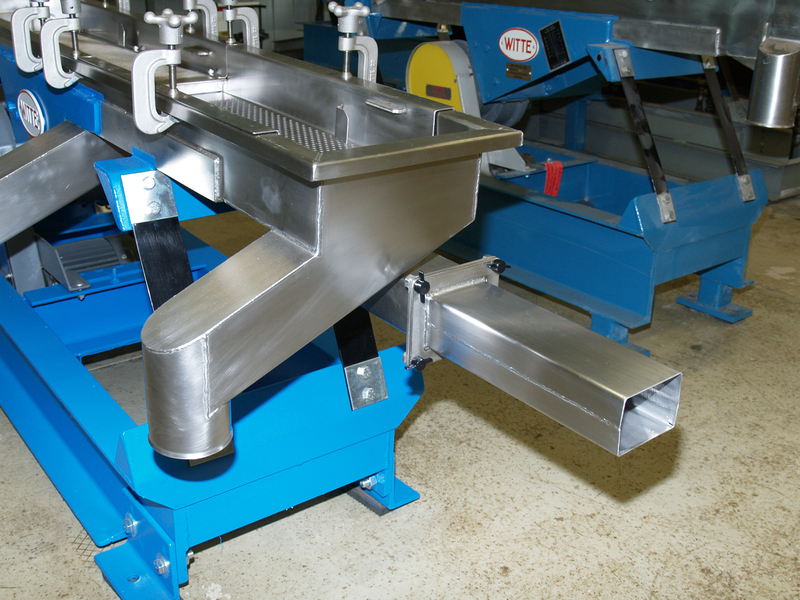 The quick-disconnect discharge chutes are included as standard on the entire line of Witte classifiers. The vibrating classifiers separate on-spec pellets from material that is oversized, undersized or otherwise off-spec. Plastic resin, fertilizer, pet food, fish feed and pharmaceutical ingredients are among the most commonly pelletized products.